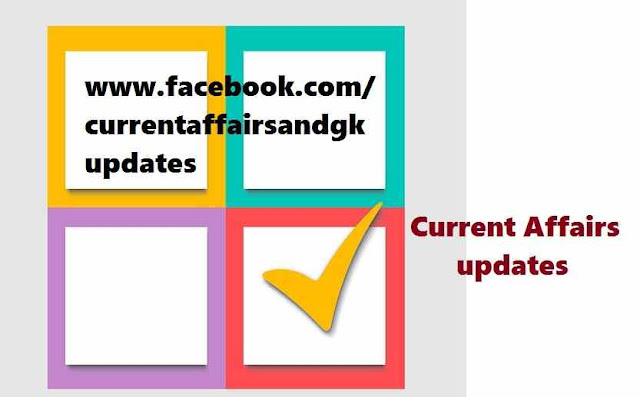 given below.The Current Affairs updates till 19 June are as follows. 1.Charles Correa(84),who brought drastic changes in the construction field in India passed away. He received "Royal Institute of British Architects" award for his dedicated work.Correa received Padmashri in 1972,PadmaVibhushan in 2006. 2.Rupay credit cards from 2016.National Payment Corporation introduced Rupay debit cards recently.When all cards (VISA,Maestro,Rupay etc) are taken into account,13% of total transactions are done through this Rupay Card. 3.Journalist and writer Aakar Patel has joined Amnesty International India as its new executive director.Aakar will lead Amnesty International India's operations. 4.The number of ultra high net worth(UHNW) individuals in India has increased to 928 in 2014, from 284 in 2013. (According to Boston consulting Group (BCG)).The report defines individuals with financial wealth (excluding residential properties) of $100 millon (Rs.640 Crores) as UHNW. (GPS Aided Geo Augmented Navigation) system. 6.Rupert Murdoch steps down as CEO of 21st Century Fox,replaced by his son, James Murdoch. 7.Dr.V.Rukmini Rao is honored with "Women of the Year-2014" by "The Week" Magazine. 8.Narendra Kumar Nanda,Director (Technical),NMDC (National Mineral Development Corporation) Limited has been conferred the "Outstanding Leadership Award" for his contribution to the Iron Ore Mining Industry. 9.Bill Gates is the world's top self made billionaire (According to Wealth X).Warren Buffet is at the second position. 10.The V IT Park is India's first Platinum rated green Building. (Rated by IGBC(Indian Green Building Council)).The V IT Park is located with in Hitech City. Details of IBPS online test.Syllabus. 11.Eminent Scientist and recipient of Bharat Ratna CNR Rao was presented with Japan's highest civilian award 'Order of the Rising Sun,Gold and Silver Star' and certificate for promoting academic interchange between the two countries. 12.The astronomers of The European Space Observatory discovered a Super bright galaxy and named after Soccer Star Cristiano Ronaldo.The astronomers named it CR7(Cosmos Redshift 7) but it is also a nod to the Portuguese football star Ronaldo who is known to fans as CR7.